Commercial chrome shelving unit designed for storage and display with adjustable chrome shelves. A strong and practical storage solution for Medical, Catering and Retail applications where appearance and product visibility are important. 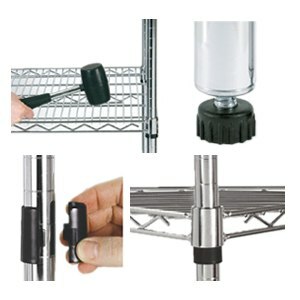 Adjustable chrome plated steel shelves can be set at 25mm intervals to suit the products that you need to store or display. 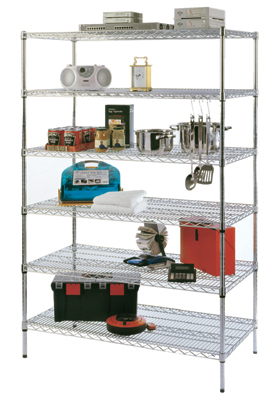 Chrome shelving racks provide a great value piece of storage equipment that can last for many years in an industrial environment thanks to a special anti-corrosion finish and super strong shelf capacities. 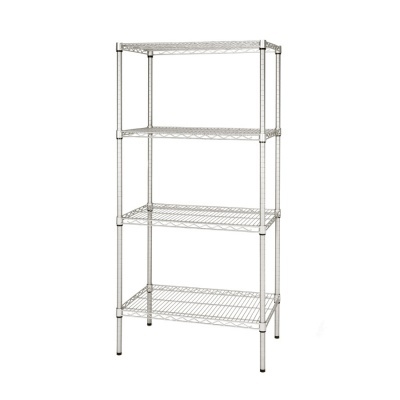 Click on the image to the right to download our chrome shelving assembly guide.